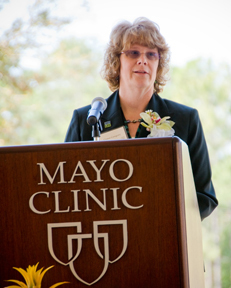 “Patients helping patients” has always been my way of summarizing philanthropy at Mayo Clinic. After all, most benefactors are patients, and the gifts they make help other patients, either right away (think buildings and new equipment) or years later (think scholarships for bright young minds or support for research that leads to new treatments). 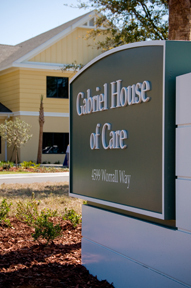 But Gabriel House of Care is more than that and in so many ways. It’s bigger than just Mayo Clinic patients. For example, the organization managing the house, St. Andrew’s Lighthouse, was formed by people in Jacksonville who recognized that visiting transplant and cancer patients needed a home away from home to survive and thrive after treatment. Now, others across the community are lining up to help, volunteering their time at Gabriel House of Care. More people are needed, by the way, so if you have an inkling and are close by, give the house a call (904-821-8995). And then there is the Bacardis’ story and their gift, which is a lifeline to Mayo Clinic patients and the family of Mr. Bacardi’s organ donor, Christopher Gregory, a 19-year-old college student who passed away after suffering a brain aneurysm. After Mr. Bacardi's double-lung transplant three years ago, he and his wife vowed to repay that gift of life. Their philanthropy for Gabriel House of Care is part of that, as well as an expression of gratitude to the lung transplant team at Mayo Clinic. But they have done more than make that gift. They also reached out to the Gregory family, and something magical has happened. Both families have met. They have traveled together. The Bacardis send letters and photographs regularly to the Gregorys, sharing the life they are leading “with Chris,” as the Bacardis like to say. And the name, Gabriel House of Care, is their way of paying tribute to Christopher, because Gabriel was the name they gave him before they learned his identity. It makes my heart soar, too. And I guess that’s why it hits me that “patients helping patients” isn’t adequate for describing philanthropy at Mayo Clinic. It’s about people helping people. Lots of people. And in extraordinary ways. 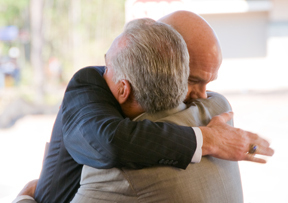 View more photos of the Gabriel House of Care and the dedication day on our flickr page.